We are delighted to announce that the Provincial Grand Master R.W.Bro. Gareth Jones, OBE and his wife Sue, will be launching the Travelling Gavel for the Walk Around Wales. Everyone will gather at the Penarth Masonic Hall, Stanwell Road, CF64 2AB at 11:30am on Sunday 25th May. At noon, the PGM will lead the first stage of the walk along the Esplanade and then through Penarth Town Centre. We hope he will be accompanied by many supporters on this first part of an historic journey of 1,000 miles in 60 days. 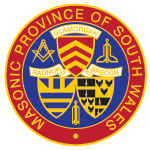 At the Provincial Grand Lodge Committee meeting held in Barry on the evening of Friday 7th May 2014, the Right Worshipful Provincial Grand Master was pleased to announce that he has appointed W.Bro. Roger F. Richmond PJGD to succeed W.Br. D. Gerald Rowbottom PSGD as Assistand Provincial Grand Master. W.Bro. Richmond will be Invested at Provincial Grand Lodge in Barry Memorial Hall on Monday 30th June 2014. The Right Worshipful Provincial Grand Master presided over the annual luncheon in the Elizabethan Room of the Imperial Hotel in London on 30th April, 2014, where he was joined by 95 Brethren from his Province. A grant of £22,000 has been made to the Canterbury Cathedral Trust to fund a stonemason apprentice.